[prMac.com] Toronto (ON), Canada - Zevrix Solutions today announces LinkOptimizer 5.2.7, a feature update to its image processing automation plug-in for Adobe InDesign. Awarded 4 out of 5 stars by Computer Arts magazine, LinkOptimizer automates complex image manipulation tasks and helps users reduce the size of InDesign links, save prepress costs, and easily repurpose InDesign documents for web and mobile devices. The new version adds an option to update modified links automatically before analyzing InDesign documents, which helps users save time and eliminate unnecessary workflow interruptions. 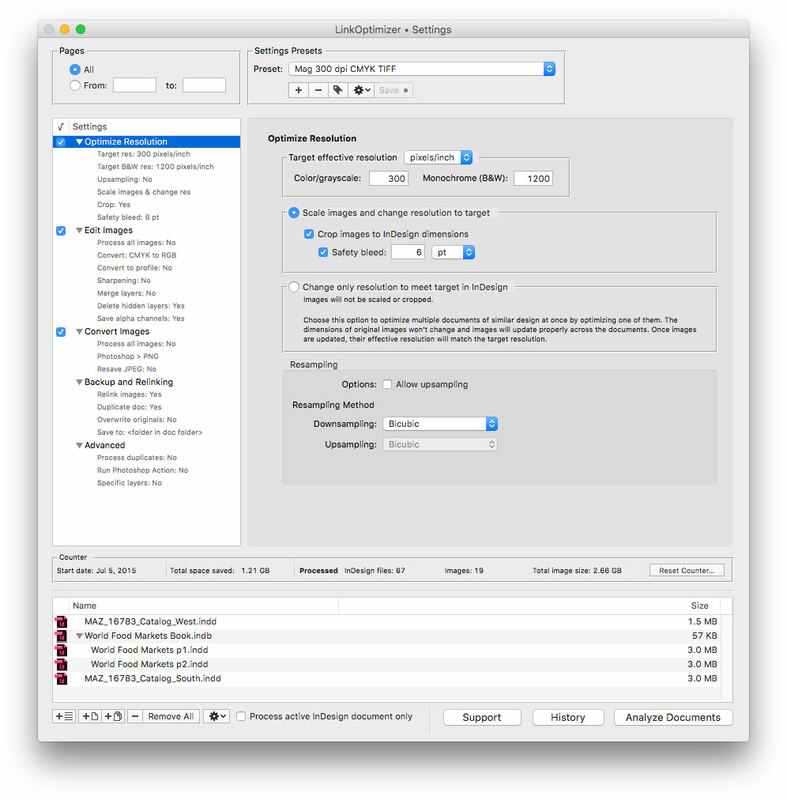 This new feature is especially useful for hassle free batch processing of InDesign files. The new option can be found in the Advanced settings tab of LinkOptimizer. There are 12508 Members. Register today!